In the case of C diff and CRE a multipronged intervention approach is necessary. The federal government needs to track outbreaks and monitor antibiotic use. The state and local health departments need to coordinate infection control activities. Hospitals and nursing homes need to implement infection control plans and collaborate in sharing data. Doctors need to avoid excessive antibiotic use and practice hand hygiene. 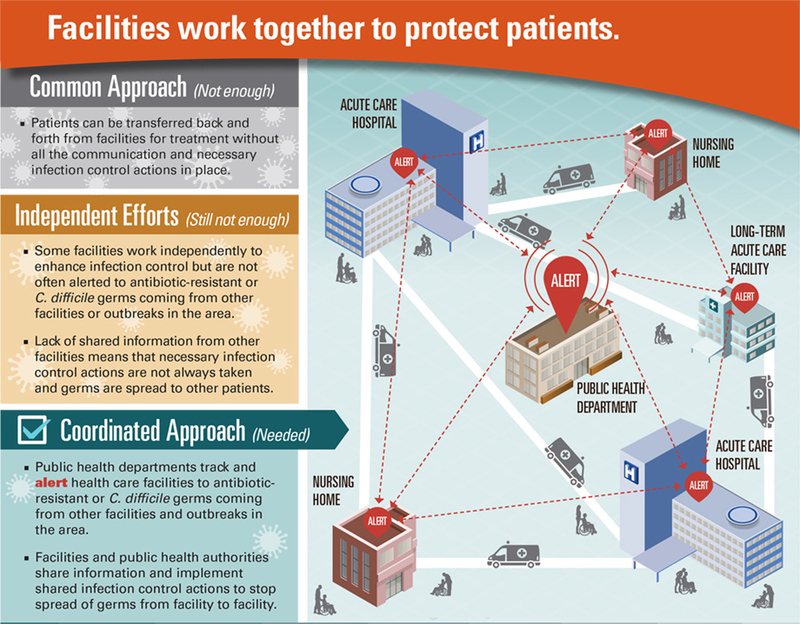 As for the patients, they need to demand action: ask their health care providers what they and the facility are doing to protect the patient from C difficile and CRE infection. Also, patients need to wash their hands and insist that all health care worker wash their hands before touching them. This entry was posted in C.diff. in the news, CDC Report Updates, U.S. Government Announcements and tagged Antibiotic resistance, c difficile, CDC, CDC Antibiotoc Resistance, Coordinated Care, cre, Healthcare, Healthcare Communication, Huffington Post, Public Health on August 25, 2015 by cdifffoundation.